August 12, 2015 - Like us now! E-gaming is on the rise, and it seems like the 16-year-old Pakistani prodigy, Sumail Hasan, is right on the top of the list of world’s most profitable e-gamers. Just in February, Sumail Hassan made the headlines for being the part of the Dota 2 Asia-winning team “Evil Geniuses”, which won a total of $1.2 Million. Now Sumail has again hit the news for winning the Dota 2 International with his team, bringing in a total prize money of $6.6 Million and also breaking a couple of World-Records along the way. Going by the gaming name of “Suma1L”, Hassan and his family shifted to the United States last year. He started gaming at the age of 7 years and although left playing Dota for a while in the middle, he resumed it at 10 and has never looked back since. In the start of 2015, Sumail got picked for the Evil Geniuses and after a small rough spell, shot to international fame. Dota 2 International 2015 had a total prize money pool of $18 Million, with a first prize of $6.6 Million. 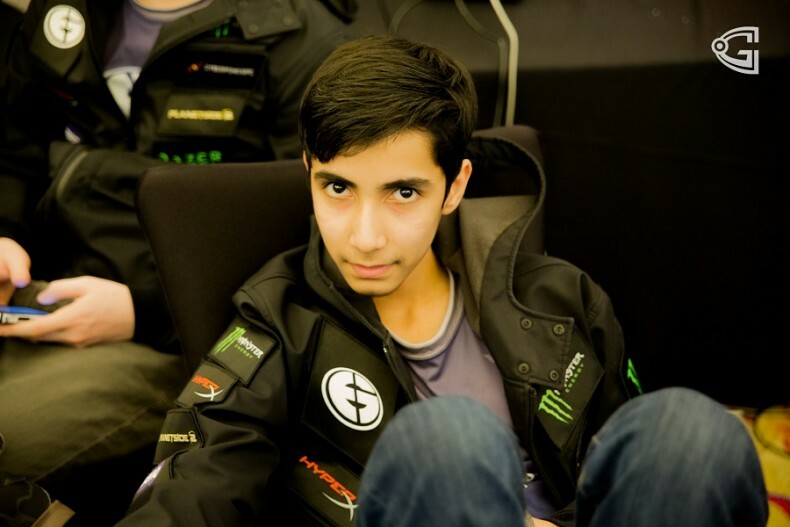 Evil Geniuses won Dota 2 cashing in that first prize cash money with Sumail getting a total of $1.2 Million. This brings his total earnings to a staggering $1,639,867, which is roughly equal to 16.7 Crore in Pakistani Rupees. As if that wasn’t enough, Sumail also broke two world records, one individual and one with his team. This wonderful Pakistani kid has become the youngest e-Sports player ever to cross the $1 Million mark. The Evil Genius, his team, holds the record for winning the biggest crash prize ever in e-Sports, $6.6 Million. The story of this young Millionaire has been doing rounds on social media, especially in Pakistan. Despite this enormous amount of popularity, he remains incredibly modest. When asked about his hobbies in an interview with Starladder on YTPak, he says that sleeping and playing Dota is all he does right now. He also doesn’t worry about balancing education with Dota, as he says that school is easy for him (lucky you, Sumail! ), and the only annoying part of the extensive time that goes into e-gaming is that he has to wake up early on weekends too. Well, we all hate that, don’t we? E-gaming is really catching on and there has been a lot of hype about it recently, especially due to the huge cash prizes. Valve, the company behind Dota 2, has been arranging these Dota 2 International tournaments since 2011 and each year, there is a monumental amount of increase in the cash price. For instance, The International 2014 offered $ 10 Million, while this year the amount was raised to $18 Million. This trend will probably continue on next year too, and we hope Sumail can keep on smashing records then too.